That's all from us for today. Back tomorrow at the usual time of 6am. The benchmark S&P 500 stock index edged higher on Thursday, nearing six-month highs, with losses in technology stocks countered by gains in Boeing and Facebook, as investors waited for more clarity on the US-China trade talks. 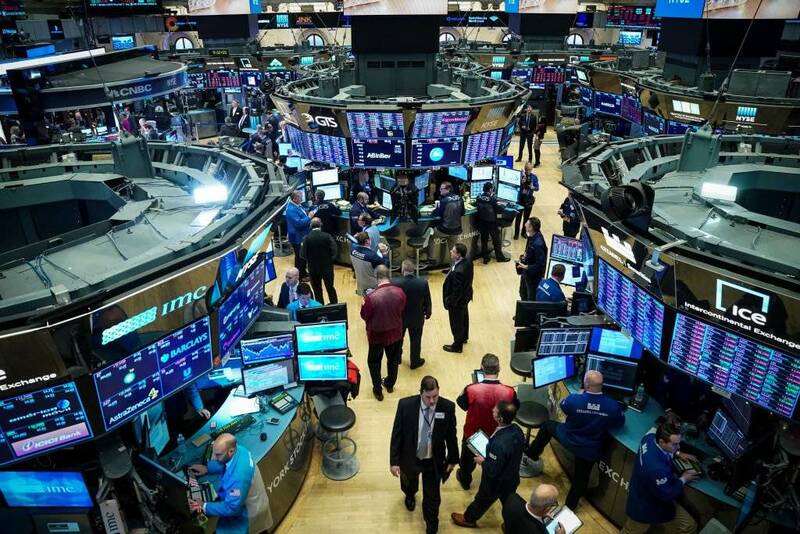 The Dow Jones rose 166.5 points, or 0.64%, to 26,384.6, the S&P 500 gained 6.01 points, or 0.21%, to 2,879.4, and the Nasdaq dropped 3.77 points, or 0.05%, to 7,891.7. A Glasgow call centre has been earmarked for closure, a trade union has warned. Job losses are expected to fall within the 4,000 staff cuts Centrica - the company that runs British Gas and Scottish Gas - announced 14 months ago. The GMB Scotland union said it hopes staff at City Park call centre, in the city's east end, can be redeployed. A Centrica spokesman said any announcements about job cuts would first be made to the staff affected. A federal judge has ordered the US Securities and Exchange Commission and Elon Musk to meet over the next two weeks to try to resolve matters underlying the regulator's contempt motion against the Tesla chief executive. US District Judge Alison Nathan said she may rule on whether to hold Mr Musk in contempt if both sides are unable to reach an agreement. The SEC accused the billionaire of contempt over a Twitter post that it said violated his October 2018 fraud settlement with the regulator. Boeing chief executive Dennis Muilenburg said on Wednesday that erroneous activation of so-called MCAS flight system software in its grounded 737 MAX aircraft could increase pressure on pilots while flying the plane. "As pilots have told us, erroneous activation of the MCAS function can add to what is already a high workload environment," Mr Muilenburg said in a statement. "It's our responsibility to eliminate this risk. We own it and we know how to do it." Nearly 2,000 people travel between Glasgow and London every day by Virgin Trains - an increase of almost a third in six years, according to new figures. In the last financial year, the operator carried 688,026 passengers between Glasgow and London - roughly 1,885 a day. The figure represents a 29% increase from 2012-13. In total, nearly 40 million journeys were made with the firm on the 400-mile West Coast Mainline route connecting London to major cities such as Manchester, Birmingham and Glasgow during 2018/19. This is up by almost 10 million compared with six years earlier. Samuel Tombs, chief UK economist at Pantheon Macroeconomics, has been looking at the car registrations data mentioned earlier. "Sales to consumers in the key month of March, when number plates change, were the lowest since 2013, underlying how Brexit uncertainty is prompting households to delay making big-ticket purchases," he said. He expects car sales to pick up ion the second half of the year if, as he expects, Brexit uncertainty fades and growth in real incomes remains fairly strong. Price rises should also ease, he said. " A renewed recovery in car sales is within sight," he said. Here is the latest graph charting the 10 largest gender pay gaps in British companies with over 5,000 employees. The biggest pay gap is now Countrywide Surveyors, who report a pay gap of 60.6% in favour of men. The Federal Aviation Administration (FAA) has released a statement in response to the release of a preliminary investigation report into the Ethiopian Airlines crash by Ethiopia's Accident Investigation Bureau. "The investigation by Ethiopian authorities remains ongoing, with the participation of the FAA and the NTSB. We continue to work toward a full understanding of all aspects of this accident," said the FAA. "As we learn more about the accident and findings become available, we will take appropriate action." Technology entrepreneur Elon Musk has arrived in New York for a hearing to decide whether a tweet he posted on 19 February violated a 2018 fraud settlement with the US Securities and Exchange Commission. The 25% of stock that MacKenzie Bezos mentioned on Twitter is equivalent to 4% of stock in Amazon, valued at $35.6bn. This will make her the fourth richest woman after a divorce in the world. Amazon shares have dipped 0.4% to $18.13. MacKenzie Bezos, who was married to Amazon co-founder Jeff Bezos, has announced on Twitter that she has completed the process of dissolving her marriage with Mr Bezos. As part of the agreement, she will be giving him all of her interests in both the Washington Post and Blue Origin. She will retain 25% of their shared stock in Amazon, plus voting control of her shares. She said that she is excited about her own plans and looking forward to the future, as well as the next phase with Mr Bezos as "co-parents and friends". Video caption: Should devices be easier to fix?Should devices be easier to fix? The digital components in everything, from smart phones to tractors, have made fixing them far more complicated. And of course, it’s more profitable for companies if we regularly buy replacements. Now a movement is calling for laws to change that and force companies to make parts and repair instructions readily available to customers. In the US, 20 states are considering so-called "right to repair" laws. The governor of the Bank of England, Mark Carney, made a flying visit to Cumbria this morning and was told fewer than half the county's businesses in a survey had started preparing for Brexit. At a working breakfast he met a number of business representatives including Julian Whittle, from Cumbria Chamber of Commerce, who told him that while 57% of firms in the county expected leaving the EU to harm their prospects, only 19% expected to benefit. “Most of those are in the tourism sector where a further fall in the value of the pound could attract more overseas visitors while encouraging Brits to take holidays in the UK,” said Mr Whittle. Businesses that had started Brexit preparations had adopted a range of measures including pausing recruitment and investment, currency hedging and stockpiling supplies. Boeing has responded to the release of the preliminary investigation report of the Ethiopian Airlines crash. "I'd like to reiterate our deepest sympathies are with the families and loved ones of those who lost their lives in the accident," said Boeing's chief executive Kevin McAllister. "We thank Ethiopia's Accident Investigation Bureau for its hard work and continuing efforts. Understanding the circumstances that contributed to this accident is critical to ensuring safe flight. "We will carefully review the AIB's preliminary report, and will take any and all additional steps necessary to enhance the safety of our aircraft." London shares have ended lower, as delays over US-China trade talks and continued Brexit confusion weighed on the index, while two British software giants saw their ratings changed by Citi. The FTSE 100 closed 16.3 points or 0.2% lower to 7,401.94. Top of the losers was Direct Line Insurance Group, which dropped 7.6% to 338.8p. The FTSE 250 ended 56.1 points or 0.3% down to.19,507.33. The losers were led by Saga, down an epic 37% to 67.3p after Citi cuts its rating from "buy" to "neutral". The Dow Jones Industrial Average is now 126.6 points or 0.5% higher to 26,344.76. Top of the winners is Boeing, climbing 2.4% to $394.22. The S&P 500 is 2 points or 0.07% ahead to 2,876.21, led by Capri Holdings, which owns luxury brands like Michael Kors, Jimmy Choo and Versace, has risen 3.5% to $48.60. And finally, the tech-heavy Nasdaq is 19 points or 0.2% higher to 7,916.27. Baiducom, owner of Chinese search engine Baidu, tops the winners, up 2.4% to $179.16. "Risk in the financial system has been considered relatively moderate in the recent term, albeit subject to change if economic shocks should strike. Some of that risk has now materialised in the failure of the capelin [fish] catch and the collapse of WOW Air. These developments make it clear that export revenues and GDP growth will be weaker than was assumed in the Central Bank’s February forecast. There are still risks that have not yet materialised but could do so in the near future," the bank says in its financial stability report. "Although WOW Air’s collapse will cause some losses in the banking system, it had already been established that the direct impact on Iceland’s systemically important banks would be limited. "The indirect impact — including the impact of the capelin catch failure and other potential shocks — is more difficult to assess at this juncture. It will depend in part on how quickly and to what extent other airlines fill the gap left by WOW Air, and the extent to which economic policy and other policy actions mitigate the effects of the shock".